Next meeting jointly with NHS Norfolk Action Group: Tuesday 19 March, Marzano’s in the Forum, Norwich, 6.30pm. all welcome! We are one of over 70 regional groups of Keep Our NHS Public, an organisation which campaigns to oppose privatisation of the NHS. Restore public provision of health care. This is the only way to ensure that everyone has equal access regardless of ability to pay. Remove the profit motive from health care. The NHS should be run in the interests of patients, not profit. 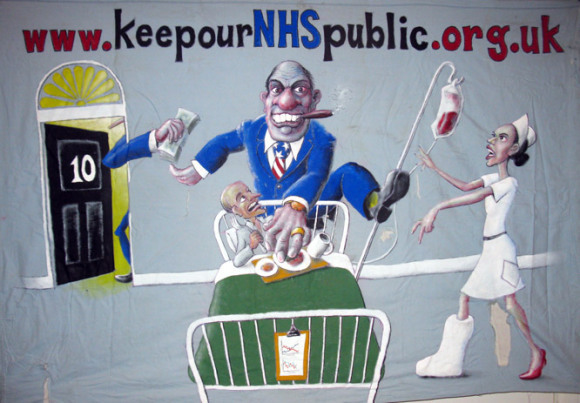 Restore the Secretary of State for Health’s accountability to parliament for the NHS. This was removed by the coalition government. Raise public and media awareness about the destruction of our NHS as a public service.